Just imagine: You’re sitting in your own car and putting the pedal down. 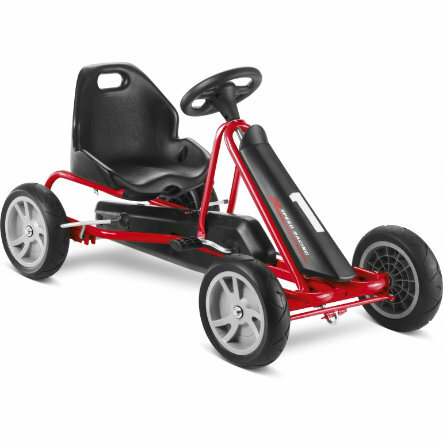 Unfortunately, this is not possible while you’re still underage - but luckily, there’s a great alternative that even trains your strength and resilience: all Go-Carts are set apart by very good driving properties, child-friendly ergonomics and a high level of safety. Best preconditions for a daily round!